ERE has issued first licences for photovoltaic power plants in the electricity generation activity. 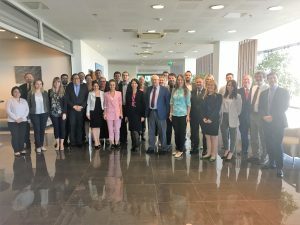 ERE has participated at Know How Exchange Programme (KEP) project “CEI Central European Initiative – Strengthening Energy Regulatory Authorities in the Western Balkans”, which is being implemented by the Italian Regulatory Authority for Energy, Networks and Environment (ARERA) – with the support of I-COM (Institute for Competitiveness) and in coordination with the Italian Market Operator (Gme) and the Italian TSO (Terna). At the end of May 2018, tariffs for renewable energy stations were revised, considering inflation rate changes (+ 2.4%) and exchange rates (-0.9%). Considering these changes, the increase in tariffs for renewable energy stations in 2018 was 0.2%. On 18.07.2018, Resolution N289L of the PSRC Armenia was adopted the concept of a new electricity market structure and electricity trading mechanisms, the purpose of which is to identify key elements of the transition period, which will ensure a gradual transition to a competitive market both in the wholesale and on the retail segments of this market, including the consumers’ choice of supplier. 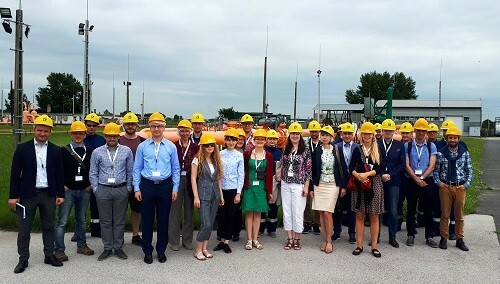 In February, May and June, 5 PSRC staff members participated in the summer schools organized by the Energy Community Secretariat. Also in the framework of NARUC programs, in February, May and June PSRC staff took part in electricity and gas working group meetings. The Hotel and Restaurant Association of Bhutan (HRAB) reported to Bhutan Electricity Authority (BEA) regarding high electricity bill and frequent power disruption on 19th March 2018 with the list of 17 affected hotels at Paro. Based on the complaint the BEA directed the Bhutan Power Corporation (BPC) – transmission and distribution company- to conduct meter testing of the 17 hotels. The BPC submitted the meter testing report to BEA on 17th May 2018 with the following findings. Out of 17 hotels, the meters of 10 hotels were found to be working within the permissible accuracy limits. The high bill amounts were due to cold winter. 4 meters were found to be very old (> 12 yrs) although it is within the permissible limits of its accuracy class and recommended for replacement. 1 meter had CT reversal problem which was rectified subsequently. 1 meter had earth leakage and the owner informed to rectify it. There was error in the billing for one customer. The BPC subsequently replaced the old meteres and HRAB accordignly informed regarding corrective action taken. On 12 June 2018, the State Electricity Regulatory Commission (SERC) adopted a Decision on Transposition of Network Codes on Connection. It defines the terms and conditions for transposition of the relevant European Commission Regulations establishing network codes as adapted to the Energy Community legal framework into the electricity sector of Bosnia and Herzegovina. Under the Decision, the Independent System Operator in BiH (ISO BiH) was tasked to submit the Grid Code and other relevant acts in compliance with the requirements of the relevant EU Regulations to SERC for approval without any delay and start innovating its other acts to incorporate the obligations as defined by the Decision. Furthermore, the Entity Regulators and other relevant institutions were called upon to ensure the compliance of their legal acts with the requirements of the relevant EU Regulations. As a result, the ISO BiH submitted an innovated Grid Code which was approved by a SERC Decision in September 2018. As part of the Promotion of Renewable Energy in Bosnia and Herzegovina Project, the German Development Agency (Deutsche Gesellschaft für Internationale Zusammenarbeit (GIZ) provided technical assistance to a Working Group consisting of representatives of all key authorities with legal competences in the energy sector in Bosnia and Herzegovina in particular with regards to renewable energy (RE) support schemes. The Working Group proposed a reform concept of the renewable energy support scheme system in the “Final Report for Reform of the Renewable Energy Support Scheme System in Bosnia and Herzegovina (Phase A)”. Upon consent by BIH policy makers, the reform concept developed during the recently finalized phase A will be followed by detailed elaboration of RE support scheme reform in phase B, foreseen for the period from October 2018 until September 2019. The detailed elaboration of the RE support scheme reform will provide a harmonized frame and methodologic approach, that can be adapted and integrated according to the specific needs and requirements of the respective entity frameworks in Bosnia and Herzegovina. For Phase B, the WG foresees activities to prepare the implementation of RE support scheme reform. These efforts will be accompanied by stakeholder involvement and public consultations. At the proposal of the Ministry of Foreign Trade and Economic Relations of Bosnia and Herzegovina (BiH), on 29 August 2018, the BiH Council of Ministers adopted the BIH Framework Energy Strategy until 2035. Created through the cooperation of the competent ministries, relevant institutions and stakeholders, it is considered to be one of the most important documents in the energy field in the past several years. This strategic document sets a vision for the future development of the energy sector in Bosnia and Herzegovina. It is an important step towards unlocking international financial support to BiH’s energy sector and creating a framework for viable investments. This document, together with the entity energy strategies, represents a significant step towards the creation of conditions for improving the security of supply, environmental protection and competitiveness. Furthermore, it should help BiH address the issues of diversification of supply sources, efficient and environmentally sustainable use of indigenous resources, as well as promotion of renewable energy and energy efficiency. Georgian National Energy and Water Supply Regulatory Commission (GNERC) approved the Natural gas Network Rules. The rules define the procedures, conditions and principles of operation of natural gas transportation system and distribution network. The conditions envisaged in the rules refer to the relationship between companies working in natural gas sector and the persons using their services. Natural Gas Network Rules applie to the natural gas distribution licensee, retail and direct customers, persons willing to connect to the distribution network or transportation system, system users, transportation licensee, suppliers, persons extracting natural gas if their systems are connected to the distribution network or transportation system. Natural Gas Network Rules have been developed with great support of United States Agency for International Development (USAID) and National Association of Regulatory Utility Commissioners (NARUC). Georgia is the first country providing commercial service quality control of electricity, natural gas and water supply licensees in online mode. Electronic Journal is unique software developed by GNERC specialists. The new connection timeframe is controlled in a real time for each new connection across the whole country: after the utility uploads a consumer’s application immediately after its submission on the GNERC’s server, the GNERC’s electronic journal calculates the exact date for each connection, as prescribed by law. In order to prove that the connection was completed in time, the utility has to upload the document certifying that the individual meter was installed and electricity was supplied. The abovementioned SMS sent to the consumer is also synchronized with GNERC’s Electronic Journal, which showed that the utility always sent SMS informing the consumer about the electricity supply. Otherwise, the electronic journal will indicate the utility that the connection fee is halved, for another violation, it is nullified and for any following violation the utility has to pay a compensation in favor of the consumer. The compensation is quite costly and constitutes to 50% of connection fee (GEL 7627 for the considered capacity). The Georgian National Energy and Water Supply Regulatory Commission (GNERC) published the final report of the “Mystery Shopper “project. The quality of service provided by the distribution utilities acting in electricity, natural gas and water supply sectors was observed by independent “Mystery Shoppers” in Tbilisi and performance of the standards set by the GNERC was checked. 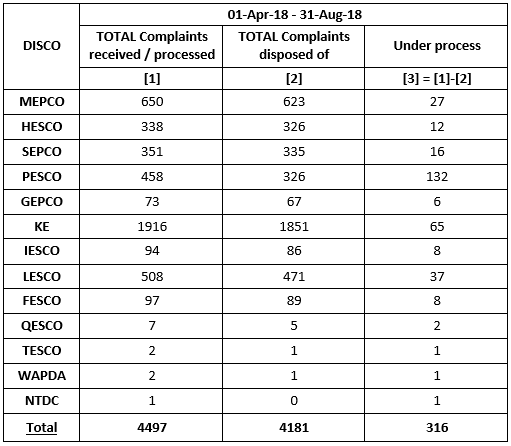 According to the report, the main violations revealed by the primary report were corrected and quality of service was improved by the utilities. The project has showed a significant effect. The result is conditioned by the complex approach of the GNERC: By the first report, the GNERC officially published the results and probable reasons of violations (all of them were evidence-based), gave the recommendations and set deadline for the utilities to improve the infringements. As a result of these actions the Management of the utilities were essentially interested to improve the quality of service and follow the standards set by the GNERC. After the expiration of the deadline, the GNERC rechecked all the violations identified by the first report. Although the utilities had corrected most of them, the project still detected some other violations of legal requirements, which had not been revealed during the first stage. Due to the success of the Mystery Shopper Project in the capital city, the GNERC plans to expand the project and cover regions of Georgia. The survey was held by the “4Service Group”. 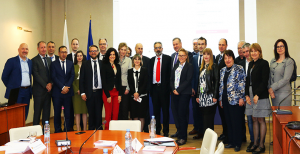 HEA was vested with a new competence in August: it became eligible to launch a so-called actio popularis in order to protect the rights of consumers more effectively. This enables HEA to directly initiate court procedure on behalf of large number of consumers when the rights of those consumers have been breached. This summer HEA issued the first licences for electricity storage facilities. ELMŰ-ÉMÁSZ Energiatároló Kft. received the licence in July for 10 MW installed capacity. Sinergy Group obtained the licence in August for 7,425 MW however within the frame of a power plant licence. These facilities will participate on the market of ancillary services. Since July HEA’s consumer satisfaction survey covers the activities of water utility service providers. The extension of the survey for district heating suppliers is in progress. (HEA has been conducting annual consumer satisfaction surveys in electricity and gas for 22 years). The goal of the survey is to provide higher quality services to consumers. – International Forum on Energy Security and Sustainable Energy Policy (donor – International Energy Agency). 5.Based on the Ministry of Commerce invitation of the People’s Republic of China, 3 employees of the State Agency (from July 26, 2018 to August 17, 2018) took part in seminar on cooperation in the field of “Connecting oil and gas infrastructure, within the initiative of the connecting infrastructure of electric networks” related to the project “One Belt – One Road” (in English). On 18 June 2018 the Board of the Public Utilities Commission (PUC) approved new tariffs for natural gas transmission system services for JSC “Conexus Baltic Grid”. On 19 July 2018 new tariffs for the year, quarter, day and current day products, as well as the tariff for the exit point for supply of consumers of Latvia entered into force but the monthly tariffs entered into force on 1 August 2018. The new tariffs will promote more extensive use of the Inčukalns Underground Gas Storage (IUGS) because approved tariffs provide for a 100% discount for the Inčukalns entry-exit point. On 25 September 2018 the PUC approved new tariffs for natural gas distribution system services for JSC “Gaso”. Tariff structure was changed in comparison with the tariffs currently in force. A fixed part depending on available capacity (cubic meters per hour) was introduced and the variable part of tariffs (consumption, EUR per MWh) was decreased. To promote use of system in summer, tariff for seasonal use was introduced as an option to standard tariff. The tariff for seasonal use consists only of variable part, but it is higher than the variable part of standard tariff. The new tariffs will enter into force on 1 January 2019. On 26 April 2018, the PUC approved new IUGS storage tariffs for 2018/2019 storage cycle. They came into force on 1 June 2018. A review cycle for natural gas storage service tariff is 3 years. The market product pricing is reviewed once a week, depending on the changes in the forecasted natural gas prices in winter and summer seasons at the Gaspool trading point. The market product is available from 11 June 2018 until 31 August 2018, allowing natural gas to be pumped in the reserved storage volume up to the end of the suction cycle. The market product is offered as an interrupted product. The lowest price for the market product this season is limited by EUR 0,92/MWh /cycles (without VAT). The bundled capacity product will be crucial for those market players who use the storage primarily to provide the maximum consumption and for the needs of supply safety. Compared to the variable-price market product, this product will be a priority during the suction season and during the application of virtual flows. The price of the product at the beginning of the season is set at EUR 2,94756 / MWh / cycle (without VAT), with the possibility to decrease, if demand for the storage exceeds the predicted. “Procedures for the Supply of Energy Users and Sale of Heating Fuel During Declared Energy Crisis and in Case of Endangerment to the State” require that the natural gas transmission operator ensures that during the period from the end of the natural gas injection season of the given storage cycle to the 1 March the natural gas storage contains an amount of active gas of 3 160 000 MWh (300 million m3). On 6 August 2018, JSC „Conexus Baltic Grid” announced an Auction in the amount of 3 160 000 MWh and provision of availability in the storage till 1 March 2019. After approving new tariffs in the gas sector (transmission, storage, distribution), PUC has organized press briefings, informative events, including two meetings and discussions with gas traders and one – with heat producers, and made visual materials to explain the new circumstances for market participants and end-users. There is a new initiative to hold regular meeting sessions with market participants to inform them of current trends in the market and to hear about issues the market participants are facing. In addition, PUC has started introducing a new format to successfully reach all segments of audience by informing them about current situation in the market. PUC publishes quarterly reports on electricity and gas sector. It helps to show users and market players the up to date situation in the market –the average prices for gas/ electricity, market shares etc. PUC has also organized 14 public consultations, mainly on energy sector – gas, heating and on water. PUC has organized two main internal events on energy sector. The participants of the Workshop on Common Regional Baltic Gas Market (Baltic and Finnish NRAs, ministries, TSO) discussed and worked further on barriers and issues each Baltic state is facing. Gas transmission and storage operator “Conexus Baltic Grid” introduced participants with a regional market model (common entry-exit tariff zone) and inter-compensation mechanism. In addition, PUC is taking part in a pan-European cost efficiency benchmarking project organised by Council of European Energy Regulators (CEER). It is a regulatory benchmarking project, combining electricity and gas, initiated and ran by CEER, in response to the task of European NRAs to supervise that TSO revenues from regulated charges reflect an efficient cost level. Results of the current project are expected in early 2019. In September PUC has organized and hosted the project group meeting here in Riga. In September 2018 three Baltic national regulatory authorities (NRAs) concluded the cross-border cost allocation agreement concerning the project of common interest on Integration and synchronisation of the Baltic States’ electricity system with the European networks. Integration of the Baltic States and their power grids within the electricity system of European Union (EU), including their synchronous operation, is a strategic goal and priority of the EU energy policy and of all three Baltic States. It leads to full integration of Baltic States in the European Electricity power networks. The investment request including the request for a cross-border cost allocation was submitted to all NRAs by the project promoters – Lithuanian transmission system operator (TSO) “Litgrid” AB, Latvian TSO AS “Augstsprieguma tīkls” and Estonian TSO “Elering” AS. It was agreed to apply the territorial principle for cost allocation. Mr Renatas POCIUS acts as a Commissioner of the NCC. With more than 17 years‘ professional experience in the NCC, of which the last 10 years in the leading positions responsible for gas and electricity sectors’ regulation, Mr Pocius has been appointed by the Parliament of the Republic of Lithuania for a five years’ term as a Commissioner of NCC since 1st of June 2018. On 21st–23rd May, 2018 the U.S. Agency for International Development (USAID), the National Association of Regulatory Utility Commissioners (NARUC), the Energy Regulators Regional Association (ERRA) in cooperation with NCC hosted in Vilnius the third technical workshop on „Gas Market Design and Natural Gas Transmission Grid Codes“. The participants of the workshop included the representatives of the energy regulatory authorities from the United States, the EU and the Energy Community countries. Workshop participants actively exchanged the information on the legal background and competences in terms of reviewing and approving gas infrastructure investments and network development plans. From 1st of October, 2018 it is planned to unbundle public electricity supplier activity from distribution system operator “Energijos skirstymo operatorius” AB (ESO) and to assign it to the gas supplier “Lietuvos dujų tiekimas” (LDT). NCC, having taken into account the request of LDT and having assessed the technological, financial and managerial capacity of the undertaking, has issued a public electricity supply license to LDT. Therefore, from 1st of October, 2018 electricity will be supplied to the population by LDT, which from the same day will be called “Lietuvos energijos tiekimas” (LET). It means, LET will become a single company for all issues of electricity and natural gas supply and services. This process is carried out in order to unbundle the activities of public electricity supply that are not attributable to the distribution system operator. Following the unbundling, the ESO will continue its core activity: distribute electricity and gas, provide guaranteed electricity and natural gas supply, and maintain distribution networks. At the end of March 2018, ERC adopted its Annual Report for 2017. Added value of this report was that for the first time included more in-depth energy markets data which were gathered and analysed through the new market monitoring system. Additional added value of the report was inclusion of comprehensive data on the adopted water services tariffs and water sector reform in general. At the end of May 2018, Macedonian Parliament adopted new Energy Law which incorporates provisions from the Third Energy Package of EU legislation. Main reforms based on the new Energy Law will be unbundling and certification of electricity and gas TSO’s, establishing concept of universal service in electricity and public service in gas, as well full liberalization of the electricity retail market starting from 2019, when households and small customers will gain eligibility to freely choose electricity supplier. 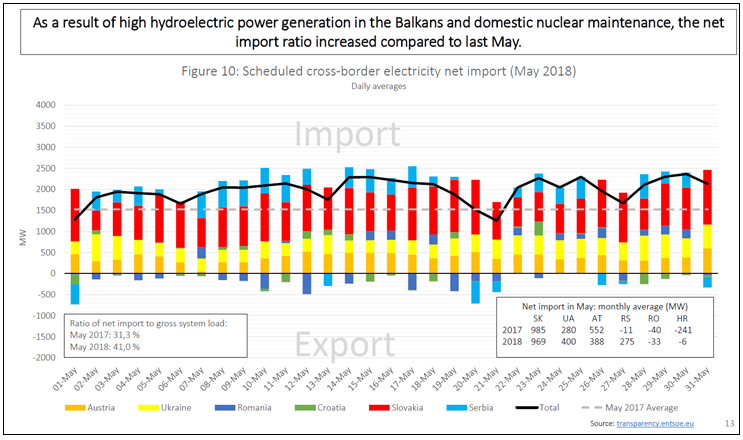 In April 2018 Bulgaria and Macedonia signed a Memorandum of Understanding (MoU) on the Day-ahead market (DAM) coupling which foresees the market coupling to be concluded by Q2 2019. At the end of June 2018, 3 new Commissioners were appointed by the Parliament, including new President of ERC, Mr. Marko Bislimoski, while the Vice-President of ERC was re-elected for his second term. As of July, ERC started with the process of drafting new secondary legislation in accordance with the Energy Law, and until now has adopted several bylaws, including TSO Certification Rules, Electricity Market Rules, Electricity Supply Rules, Tariff System of the Universal Supplier and Supplier of Last resort and other. The process of drafting and adopting new secondary legislation is ongoing and will include as well new legislation regarding natural gas, district heating and oil derivatives. ERC is supported in this process with expertise provided by the Energy Community Secretariat, as well by experts provided by USAID. New prices/tariffs for the regulated segment of the electricity market were adopted at the end of June, while new prices for district heating were adopted at the end of July. 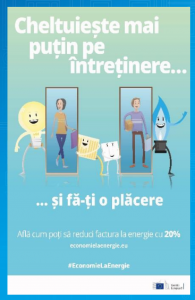 In September 2018, Public Utilities for water services on area below 10.000 equivalent inhabitants, submitted their water services tariff applications for the regulatory period 2019-2021. With this final group of applicants, the new cost-reflective water services tariffs will be applied on the whole territory of the country. ERC continued with the implementation of the joint project with NARUC, supported by USAID, for developing Price Comparison Tool (PCT), and its representatives attended Second Regional Workshop on this topic. Additionally, an expert provided by NARUC, delivered 5 days training/consultations to ERC staff aimed at developing tailor-made entry-exit tariff model for gas transmission, capacity allocation mechanisms and congestion management procedures. Aimed at strengthening ERC transparency, the new President established practice for inviting media to attend and report on the topics discussed during open sessions organized by ERC, including regulated prices/tariffs, draft bylaws, licences, etc. The acquisition of EDS DOO Skopje (largest supplier/trader in the liberalized segment of the electricity market in Macedonia) by PPC S.A Greece was approved by the Macedonian Commission for Protection of Competition and the transaction was finalized. In order to encourage use of renewable energy resources by individual consumers and to facilitate demand side energy management, the Authority formulated Net Metering regulations in 2015. In this regard, the Authority received overwhelming response from the residential, commercial, industrial and agricultural consumers which can be gauged from the fact that over the last three years approximately six-hundred (600) Net Metering Licences of cumulative capacity 13.5 MW have been granted. In order to provide open access to different generation companies setting up their power plants for providing electricity to their bulk power consumers, anywhere in the country, the Authority formulated regulations for wheeling of electric power in 2016. The said regulations are envisioned to help in encouraging a competitive market which will benefit the consumers and all the stakeholders in the power sector of Pakistan. Further, with the participation of private sector generation companies in wheeling of electric power, the transmission and distribution companies will get a positive boost in terms of revenue enhancement and investment in the transmission system will also increase as a result. The transmission sector of Pakistan has inherently been in the public sector domain with National Transmission & Despatch Company responsible for the operation and maintenance of transmission system which is connecting north and south of the country. The NEPRA Act empowers the Authority to grant special purpose transmission licnece to any person/company for construction, ownership, maintenance and operation of specified transmission facilities. In this regard, the Authority has granted special purpose transmission licences to two companies namely Sindh Transmission & Dispatch Company (Pvt.) Limited and Fatima Transmission Company Limited. The said initiative will enhance the existing transmission capacity through installation of new transmission infrastructure. It will also create avenues for private-sector investment and is expected to revolutionise the power sector by significantly reducing bottlenecks in the transmission network. It will also enable the government in overcoming acute power shortages and encourage private-sector players and entrepreneurs to play their role more effectively in developing the energy sector. In order to rationalize existing fuel mix of the country and provide affordable and reliable electricity to consumers, the Govt. of Pakistan has invited private sector investors for setting up imported and indigenous coal-based power plants in the Thar area of the province of Sindh. However, the geographical location of Pakistan is such that the South has huge reserves of coal which can be utilized to generate cheap electricity, whereas the major load center is located in the center and North of the country. In order to transport and disperse the electric power generated from the above-mentioned generation facilities to the upcountry, the Authority has granted Transmission Licence for a first HVDC transmission line which has the capacity to transmit 4000 MW of generated electricity and is being constructed with the help of Chinese investment. The said transmission line will be the first of its kind in Pakistan that will connect two major provinces of Pakistan and play a paramount role in capacity enhancement of the transmission system. (a) On recommendations of the National Assembly’s Standing Committee on Cabinet Secretariat, the Authority has approved the establishment of five (05) additional offices of NEPRA at DISCOs’ headquarter level, i.e. at Gujranwala, Faisalabad, Multan, Hyderabad and Sukkur, along with staff, in addition to strengthening the existing offices at Karachi, Lahore, Peshawar and Quetta. (b) Appeals against the decision(s) of the Federal Ombudsman are being referred by the President’s Secretariat to NEPRA for decision. (c) Complaints pertaining to billing/metering dispute(s), over and above monetary limit of Rs. 100,000/-, are being referred by the Federal Ombudsman to NEPRA for decision. Pakistan has a huge potential for solar-based energy. In order to make optimum use of this potential, NEPRA, besides announcing up-front tariff for solar technology, had also introduced net-metering regime. The regime will enable commercial units, industry and household consumers to install solar PV panels on their roof tops who will be able to sell surplus electricity in the national grid through the mechanism provided in net-metering regulations approved by NEPRA in 2015. In this regard, 513 distributed generation (net metering) licenses have been granted having accumulated capacity of 11.65 MW. This will not only provide an opportunity for the common man to earn energy based income but will also mitigate the shortfall of energy, bringing stability in the system. NEPRA had approved the Wheeling of Electricity Regulations, 2016, under which, now, generation companies can sell their electricity to Bulk Power Consumers (BPCs). The consumer will be required to pay the cost of transporting of electricity (Wheeling) for using NTDC/DISCO system, in addition to the cost of generation, to be mutually agreed between the generator and BPCs. With the involvement of private sector generators at transmission and distribution levels, not only the economy will get a positive boost, it is expected that the load demand on the system will be reduced considerably, enabling DISCOs to reduce load shedding. One of the key features of the Regulations is the facilitation of dedicated transmission/distribution infrastructure. Under this concept where technical limitations do not allow Generation Company, using DISCOs/Transmission Company network, it may construct a dedicated Transmission or Distribution system through its own expense to supply electric power to its authorized consumer. The Regulations of wheeling will go a long way in creating a competitive market which will benefit the consumers and all the stake holders in the Power Sector of Pakistan. NEPRA had awarded special purpose transmission license to Fatima Transmission Company Limited, Sindh Transmission and Dispatch Company (Pvt.) Limited & Pak-Matiari to Lahore Transmission Company (Pvt.) Limited to engage in construction, ownership, maintenance & operation of specific transmission facilities built, for provision of transmission & interconnection services to NTDC and others (such as bulk power consumers) by connecting its facilities at transmission and distribution networks. With timely availability of transmission lines, the generation companies will be allowed efficient evacuation of electricity. Special Purpose Transmission Licensing regime would not only enhance the existing transmission capacity, but will also result in the installation of new power transmission infrastructure. It would create avenues for huge private investment. This initiative is expected to revolutionize the sector by significantly reducing the bottlenecks in the transmission system, while also enabling the government to overcome the acute power crisis by allowing private sector players to participate and play their role more effectively in the development of the energy sector in Pakistan. Transmission tariff of Sind Transmission & Dispatch Company (Pvt.) Limited was granted by NEPRA on 10.02.2017. NEPRA had granted electricity tariff to Country’s first Matiari – Lahore (878 km) HVDC transmission line to transmit more than 4000 MW of power from projects in the Sindh Province. The project is included in the priority list under the China-Pakistan Economic Corridor (CPEC). NEPRA issued transmission tariff to this project on August 18, 2016. In order to fetch cost efficient energy, Competitive bidding regime is now being envisaged for above technologies. The responsibilities of NEPRA under the Act include, inter alia, the determination of tariff, rates, charges and other terms and conditions for supply of electric power services by the generation, transmission and distribution companies. In performing its functions, all decisions/ determination are made by NEPRA in accordance with the relevant law in a transparent manner by providing equal opportunities of hearing to all stakeholders. The electricity tariff is determined in accordance with the NEPRA Act and Rules made there-under, which state that the tariff should allow licensees the recovery of any and all costs prudently incurred to meet the demonstrated needs of their customers. The saving in spread of KIBOR / LIBOR was shareable at 50:50%. 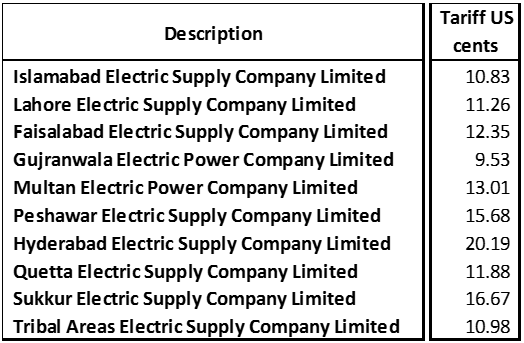 Moreover, NEPRA determined individual tariffs for 10 public sector Distribution companies for the FY 2017-18 including their in quarterly adjustment for the same period as given below. Although NEPRA determines tariff individually, however, the average determined tariff for the above distribution companies works out as 12.49 cents. National Transmission & Dispatch Company determination (NTDC) for the FY 2015-16 & FY 2016-17 was issued on April 11, 2017. Being aggrieved with the decision NTDC submitted the review motion. Accordingly NEPRA based on the review motion of the NTDC conducted the hearing and provide opportunity to the transmission Company to justify its claim. The review hearing was participated by the relevant stakeholders i.e. CPPA-G, Ministry of Energy, NTDC etc. Based on the submissions of the NTDC, NEPRA decided the review motion on September 25, 2017. In accordance with the provision of NEPRA Tariff Standards Rules and Procedure – 1998, Ministry of Energy (Power Division) submitted the reconsideration request which was processed and hearing in the matter was held on 2nd November 2017. During the hearing Ministry was advised to submit the requisite information and supportive documents for justification of their requested claim at earliest. Decision in the matter has been issued on May 4, 2018. During the FY 2017-18 the decision with respect to Pak Matiari Transmission Company was issued wherein the issue with respect to local component was resolved. Keeping in view the reasonable tariff allowed to the Company it is expected that the transmission company will be able to achieve the target Commercial Operation Date which will enable the company to transmit the 4000 MW coal power generation from south to north. In addition to the aforesaid, the induction of HVDC transmission line system will also provide the employment opportunities and expertise for the transmission companies and will also play key role in strengthening the economy of Pakistan. Multi Year Tariff petition of K-Electric (a vertically integrated utility) was determined on March 20, 2017 for the period from July 2016 to June 2023, whereby it was allowed an overall tariff of Rs. 12.07/ kWh. K-Electric, being aggrieved with the Determination, filed a Motion for Leave for Review (MLR), which was decided by NEPRA vide decision dated October 09, 2017, wherein, tariff was enhanced to Rs. 12.7706/kWh. Subsequently, the Federal Government filed reconsideration request vide letter dated October 26, 2017. The same also was decided by the Authority on July 05, 2018, wherein, tariff was further enhanced to Rs. 12.8172/kWh. 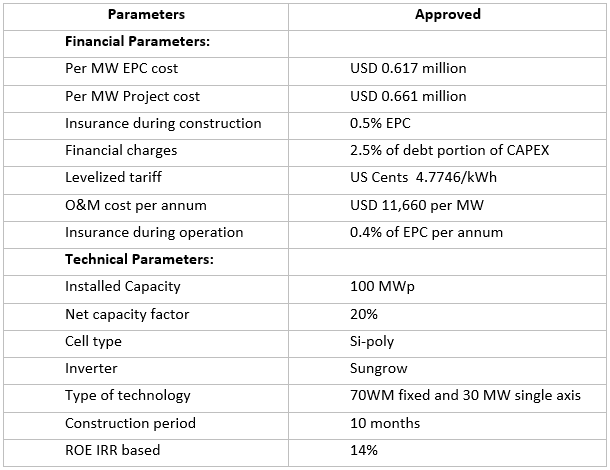 In April 2018, ANRE started the process of reviewing the methodology for setting up the electricity distribution tariffs for the fourth regulatory period (2019-2023) by publishing the proposed modifications of the methodology and the proposal regarding regulated rate of return applied for the electricity distribution tariffs starting with January 2019. The process was ended in September 2018 when the methodology and the new value of rate of return (5.66% in real terms, before tax) were approved by the ANRE’s Regulatory Committee. With the proposed amendments, ANRE aims at fulfilling several important objectives such as the transparency in the process of setting and approving the distribution tariffs, as well as avoiding the inclusion of unjustified costs in the tariffs. In June 2018, the Gas Network Code was amended aiming mainly to stimulate the trading of standardized short-term products in the Romanian centralized markets, both at the level of the network users – for the commercial balancing, as well as at the level of the operator – for the physical balancing of the national transmission system. Clarification were brought to the definition of the weighted average price and the marginal prices used by the transmission system operator for the settlement of the imbalances recorded by the natural gas market participants. The main purposes of the amendments are to create a price-based reference for gas, based on supply and demand and to lead to the setting of fair prices to final customers and to determine the market participants to have an accurate forecasting of output / consumption to reduce the final imbalances in order to ensure the balancing of the national gas transmission system, to increase the safety of the system and the continuity of natural gas supply. Other important aspects envisaged by ANRE are the development of the Intra-Day (day of delivery) markets and the next Day-Ahead Market (DAM) in order to contribute to the growth safety and continuity of natural gas supply and the development of an operational Virtual Trading Point. In gas sector, starting with August 1, 2018, the gas price for households increased on average of 5.83%. 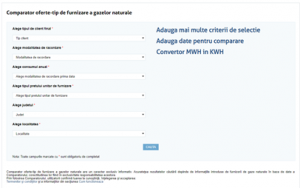 In 2017, in order to encourage the process of changing suppliers, ANRE developed two instruments by which final customers can compare the (standard) electricity and gas offers of Romanian suppliers. These applications can be accessed on the ANRE website. The comparators were developed in order to provide users with an independent, equidistant and non-commercial instrument allowing the comparison of supply prices. Between 1 June and 31 December 2017, the electricity comparator was accessed by 81,928 users, and the natural gas comparator – by 21,345 users. In August 2018 was launched a project for improving the electricity comparator, by means of diversifying the supplier’s offers. In the last three months ANRE’s representative have participated to several to CEER and ERRA training sessions. The European Commission (Directorate-General for Justice and Consumers) has launched a campaign to promote energy savings in housing and lowering bills through small behavioural changes or minor investments in housing. 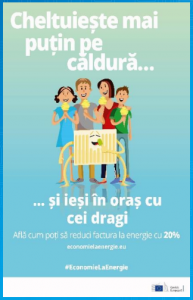 The campaign was launched in April in Bucharest with a press conference and the official opening of the Energy Saving Tournament, which consisted of an exhibition pavilion, organized as an interactive “house”. It enables citizens to find out how energy efficiency can be achieved through educational and fun activities for both children and the whole family. The Pavilion was opened to the public on April 25 and May 1, then moved to Mioveni (3-6 May) and Craiova (9-13 May). The European Commission’s initiative has benefited from the valuable input of national and local partners such as the Ministry of Energy, the Ministry of Regional Development and Public Administration, the Romanian Energy Regulatory Authority (ANRE), the City of Craiova, the City of Mioveni, the Association of Companies’ Associations (ACUE), the Romanian Electricity Suppliers Association (AFEER), the Romanian Energy Cities Association (OER) and the “Terra Mileniul III” Foundation, and the support of Enel Energie, CEZ România and E.ON Energie România. The pilot campaign was launched on March 21 in the Czech Republic, arrived in April in Romania and went further to Greece and Portugal. 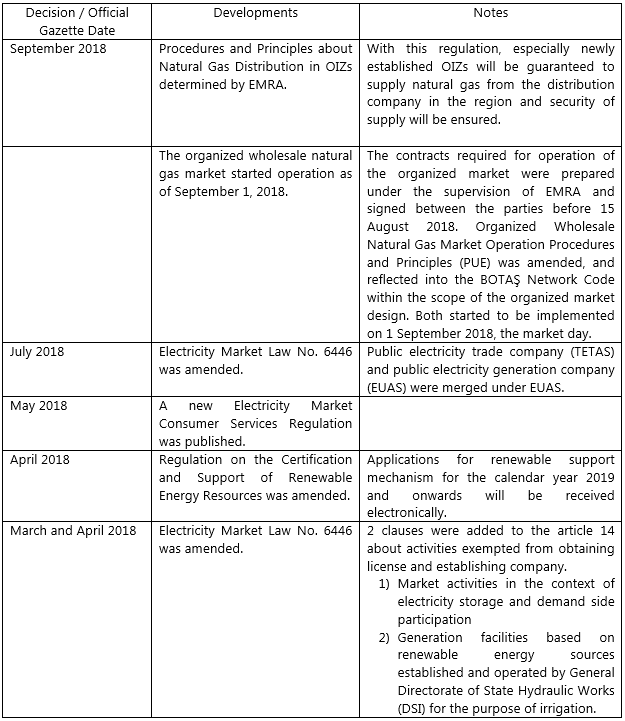 Important amendments on Electricity and Gas Law mainly related with provisions regarding development of the gas market (virtual trading point, concessions in the gas sector, connections to the networks) and changes in the Renewables Law were approved in July 2018. The amendments of the Renewables Law come up with some saving solutions for renewable energy producers, in terms of efficiency and new rules for prosumers. The consumers (or prosumers) who own electricity generating units from renewable sources with installed power of up to 27 kW on the consumption place can sell electricity, produced and delivered to the electricity grid, to the electricity suppliers with which they have concluded electricity supply contracts, according to ANRE regulations. At the same time, the electricity suppliers are obliged, at the request of the consumers with whom they have concluded contracts for the supply of energy to purchase the electricity produced at a price equal to the weighted average price recorded in the Day-Ahead Market in the previous year. By way of derogation from Law no. 227/2015 on the Fiscal Code, as subsequently amended and supplemented, and by Law no. 207/2015 regarding the Fiscal Procedure Code, as subsequently amended and supplemented, the prosumer, natural persons, are exempted from the payment of all tax liabilities related to the amount of electricity produced for the self-consumption and the surplus sold to the suppliers and these consumers are also exempted from paying green certificates for energy produced and used for final consumption. Under discussion in Parliament is the Law on some measures necessary for the implementation of oil operations by holders of oil agreements regarding the offshore oil perimeters. On 25/06/2018, the Energy Agency of the Republic of Serbia has published public consultation on the YUGOROSGAZ – TRANSPORT D.O.O. Transmission System Development Plan for the period 2018-2027 which was submitted by the natural gas transmission system operator YUGOROSGAZ – TRANSPORT D.O.O. Public consultation on this ten-year transmission system development plan is organized until 20/07/2018. In line with the Energy Law, the transmission system operator adopts a ten-year transmission system development plan every year and submits it to the Agency for approval. 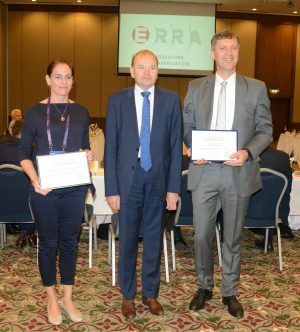 The Energy Agency of the Republic of Serbia (AERS) and the Energy and Water Regulatory Commission of the Republic of Bulgaria (EWRC) has concluded on June 12 an agreement on cooperation on bilateral and multilateral level in order to improve the quality of institutional and regulatory process in the energy field. Among other things, the Agreement on Cooperation, which was signed in Sofia on June 12, by the President of the AERS Council, Dejan Popović and the Chairman of EWRC, Ivan Ivanov, envisages the organisation of joint meetings, workshops and seminars in order to exchange experience and educate staff as well as to exchange information of mutual interest. Addressing a conference on energy efficiency in Belgrade, Milos Banjac, assistant to Serbia’s Minister of Mining and Energy, has announced on May 24 the feed-in tariff scheme introduced in 2009 will expire by the year’s end and be replaced by feed-in premiums and competitive tendering procedures, heralding Serbia’s transition to new renewable energy support mechanisms. GASTRANS, LLC, Novi Sad has informed the Energy Agency (AERS) on May 4 that ten non-binding bids have been submitted during the first phase of market test for the use of future gas pipeline, which is planned to connect the Bulgarian and Hungarian transmission system via the territory of Serbia. 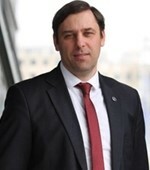 Serbia’s energy minister, Aleksandar Antić, said at an energy expo in Belgrade that the connection of large wind parks – 42 MW from Alibunar, 105 MW from Kovačica and a portion of the Čibuk wind park with a capacity of about 100 MW – is expected in 2018. Thanks to these new capacities, Serbia will approach its pledged objective of securing 27% of overall consumption from renewable energy sources by 2020. Green sources currently account for 23-24%. Some gas distribution zones have been expanded to include additional towns. Their retail tariffs have been revised accordingly. Underground natural gas storage tariffs are under preparation. Implementation of Last Resort Tariffs for electricity consumers has started. Electricity tariffs were raised twice 9% for residential and 14% for other consumer groups in August and September. (Taxes and levies included.) And the tariffs were raised 9% for residental and 18.5% for other consumer groups, once again in October. By-law on Organized Natural Gas Wholesale Market enacted in 2017 established the basis for the foundation of Continuous Trade Platform (“CTP”), which allowed the market players trade natural gas anonymously in an organized liberal market operating by continuous trade principles, as well as let the transmission system operator balance the system. CTP became operational on September 1, 2018. Foundation of the organized natural gas market is an important step towards the goal of making Turkey an international gas trade center that allows the trade of gas coming from different sources. The organized market, which will let the price of natural gas produced in the region and the accessible markets be determined in Turkey in an objective and transparent manner, will pose an important opportunity for cooperation between the countries. On June 11, 2017, the Law of Ukraine “On the Electricity Market” entered into force. The law intends electricity market introduction in accordance with the provisions of the EU Third Energy Package.The Law implementation prescribes adoption of more than 100 regulatory acts, 85 of which are the responsibility of NKREKP.In 2018, NKREKP held several thematic open public meetings, during which series of resolutions were passed, including market rules, day-ahead and intraday market rules, electricity retail market rules, transmission system code, distribution system code, code commercial accounting. As o f September 2018, about 90% of acts of secondary legislation, envisaged by the Law, have been adopted. By the end of 2018, the retail segment of the electricity market will be opened and work on the new rules. Work on the new rules for the wholesale part of the electricity market will begin on July 1, 2019. The process of formation of a new independent regulator of Ukraine is completed. On May 29, 2018, based on the results of an open competitive selection, a new membership of NKREKP was appointed, as provided for by the Law of Ukraine “On the National Commission, which performs state regulation in the fields of energy and utilities”. President of Ukraine Petro Poroshenko, by his decrees, appointed Olena Antonova, Dmytro Kovalenko, Oksana Krivenko, Yevhen Mahlovannyi and Oleksandr Formahei as commissioners of NKREKP. On June 6, 2018, at a closed meeting of NKREKP, Oksana Krivenko was elected as Chair of the National Commission. She became the first woman at the head of the Ukrainian Regulator. On 29 August 2018 Council of Ministers of Bosnia and Herzegovina has adopted the Framework Energy Strategy for the period until 2035. The Energy Summit in Bosnia and Herzegovina is organized fourth time by USAID-EIA under the auspices of the Ministry of Foreign Trade and Economic Relations of Bosnia and Herzegovina, the State Electricity Regulatory Commission, Regulatory Commission for Energy in the Federation BIH and Republika Srpska Energy Regulatory Commission. It has been held in Neum on 25-27 April 2018. The Summit includes the state and entity ministries in charge of energy, parliament representatives, power utilities, chambers of commerce, small and medium sized enterprises in the energy sector, investors, suppliers, consumer associations, universities and non-governmental organizations, as well as representatives of the Energy Community, regional regulatory commissions and other international donors active in the energy sector. The goal of the Summit is to gather all players in the energy sector to discuss the most important topics in the field of energy, such as investments in the energy sector, the functioning of the retail electricity market and integration of the BiH market into the regional market. The Summit also features technical sessions that deal with popular topics. ENERGA International Fair and Conference, held in Sarajevo from 19 to 21 June covering topics like energy and climate changes, electricity market – WB initiative, renewables and energy efficiency. 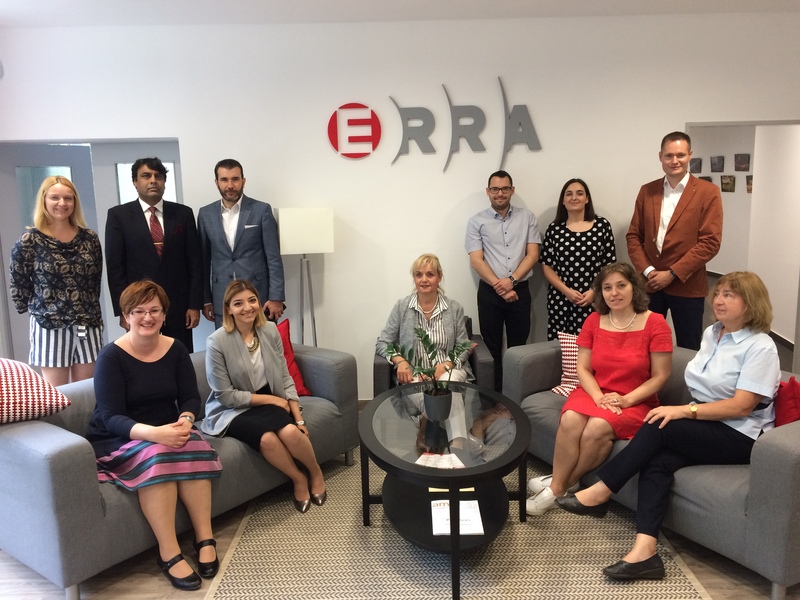 During this event FERK, together with other two commissions in BIH, DERK and RERS held a meeting with our colleagues from Hungary, Hungarian Energy and Public Utility Regulatory Authority (HEA). This meeting was very constructive, creating basis for future cooperation. In addition to ERRA Annual Meeting held in Sochi, FERK representatives were also present at ERRA CRM Working Group Meeting in Tallin, Estonia; 3rd Technical Workshop: Gas Market Design and Natural Gas Transmission Grid Codes in Vilnius, Lithania; ERRA Liaison Officers Meeting in Budapest, Hungary and Seminar for Newly Appointed Commissioners and Chairmen also in Budapest. On 16 July, JP Elektroprivreda HZHB d.d. Mostar held a ceremony of starting construction of PHPP Vrilo in the municipality of Tomislavgrad, on river Šuica. This investment is worth EUR 89.1 million, is designed to have two units with a total installed capacity of 66 MW, with operations planned to begin in 2023. The plant’s annual electricity output is projected at 196 GWh. This company has also realised pilot-project of smart mini solar plant in Tomislavgrad with total capacity of 49,8 kW with three DC/AC inverters which represents the first project of this kind in Bosnia and Herzegovina. The realistaion is done thorugh project „3SMART Smart Buidling-Smart Grid-Smart City” of Interregional Danube Transitional Programme. FERK is also one of the participants in the 3Smart Project. Network code, market design & licensing are in process. Study tour to Portugal Regulator for CEO and 3 employees. CEO and expert employee attended MedReg Institutional work group meeting in Lebanon. The Board of the Energy Regulatory Office (ERO), In its’ meeting held on 20th August 2018, has approved the Regulatory Parameters for determination of Maximum Allowed Revenues (MAR) for the Transmission System and Market Operator (TSO) and the Distribution System Operator (DSO) for the Regulatory Period 2018-2022. 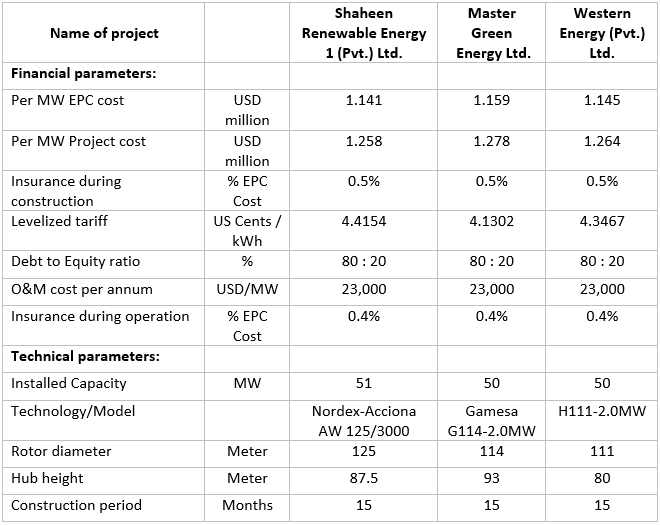 Regulatory Parameters include the allowed level of losses, Weighted Average Cost of Capital (WACC), and categories of asset lifespan, according to which the Board will determine the Operators’ Maximum Allowed Revenues regulated under the electricity system. With regard to the allowed level of loses for TSOs, the ERO Board has determined to maintain the current level of 1.78%, whereas, for the DSO, in the first two years of the period the allowed level of losses shall be 18.8%, to continue in the three other years with 17.6%, 16.4% and 15.1% in the last year. The level of the Weighted Average Cost of Capital, as determined by the Board of ERO for the current period shall be 8.4% for both operators. Whereas, the assets lifespan based also on international standards, was set to 50 years for high-voltage assets, 40 years for low-voltage assets, and 10 years for vehicles, 7 years for other operational assets and 5 years for information technology assets. Based on these Parameters, the ERO Board has also approved the new Maximum Allowed Revenues for the five-year period for TSO and DSO. The allowed amount for TSO is €151,68 million and €413.25 million for DSO. ERO Board has licensed three new electricity suppliers, “SharrCem” L.L.C., “JAHA COMPANY” L.L.C. and “FUTURE ENERGY TRADING AND EXCHANGE DYNAMICS” L.L.C. The licensing of these three companies has increased the number of licensees performing this activity to six operators, thus creating favourable conditions for a free competition in the electricity supply market. Kosovo institutions remain committed to support investments in the area of RES, by creating red-tape free procedures and favourable regulatory conditions with the sole purpose of improving energy supply and achieving the targets set by the European Union in terms of energy production from RES. As a result of such commitment, KITKA Wind Power Plant, with a capacity of 32.4 MW has started to operate this summer. 68 additional projects have been subjected to Authorization procedures so far, out of which 27 are in the process of construction and 9 are already operational. Energy Regulatory Office (ERO) in Partnership with United States Agency for International Development (USAID), and the U.S. National Association of Regulatory Utility Commissioners (NARUC) have held a Workshop on Vulnerable Customers. This workshop is part of ongoing cooperation between ERO USAID and NARUC, and has resulted in procedural and technical changes and improvements within ERO that are based on the best international regulatory practices. The activity on Vulnerable Costumers was conducted as part of ERO’s efforts toward implementing the third EU Energy Package, which also includes diligence toward customers in need, an aspect that was addressed by working groups during this three-day activity and will be continued with a US Study Tour of two ERO experts of the feald. The support of customers in need, which was clarified under recent legislation, requires collaboration between multiple stakeholders. While not a direct responsibility of ERO, the Commission looks forward to providing the regulatory point of view in working with other stakeholders to support customers in need. The workshop has lasted three days and and dispite ERO and NARUC experts were involved also other parties such as the Ministry of Economic Development, the Ministry of Labour and Social Welfare, and the Public Energy Supply Company (KESCO). In the future these stakeholders will have an important role in defining and finding methodologies for treating the consumers in need in terms of energy consumption in the country. ERO through the technical assistance offered by USAID and NARUC has develop an online Price Comparison Tool. ERO communication experts participated in two workshops, organised in Sarajevo and Trebinje where was presented the draft Price Comparison Tool and also where presented best practices related to the Price Comparison Tools and public communication practices. Through this involvement ERO is strengthening I’ts efforts and is working on improving commission communications and transparency practices through educating consumers on issues related to retail electricity market opening and other regulatory issues. ERO has held a round-table discussion on the Support Scheme for Renewable Energy Sources (RES) Generators. With the purpose of consulting all interested parties regarding the Rule and functioning of the Support Scheme for RES Generators, ERO held this round-table discussion as part of its activities that intend the proper functioning of a sustainable power system, which provides proper supply to customers and a safe environment for all investors. 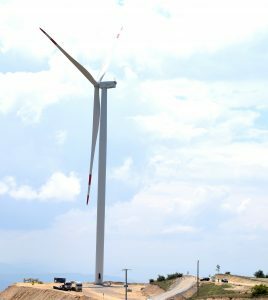 ERO, being part of the implementation of RES Targets, set by the Government of the Republic of Kosovo, has developed the secondary legislation and established the Support Scheme for RES Generators that have been constructed and are expected to be constructed by private local and foreign investors. As stated by Mr. Arsim Janova, Acting-Chairman of ERO Board, currently the sector is in the phase of construction of generators with large capacities, whose construction requires larger funding with larger financing support. Therefore, investors are addressing financial institutions such as European Bank for Reconstruction and Development (EBRD), International Finance Corporation (IFC), who along with the investors have raised discussions on the current criteria provided by the Support Scheme. Representatives of EBRD and IFC as financial institutions expressed their request on change of current agreements for power purchase, in order to establish higher safety on return of loans. At the same time, ERO also received comments by RES Association regarding the imbalance prices. Given that these requests directly imply the Rule on Support Scheme for Renewable Energy Sources Generators, ERO invited all parties involved in energy sector, in order to consult and debate on these issues, so that thereafter ERO can evaluate the possibilities for eventual changes, based on legal provisions in force. ERO remains devoted to provide the most suitable regulatory conditions for new investments and development of the whole power sector, which is a basic component for overall economic development of the country and prosperity of its citizens. In June Osinergmin has presented a proposal to reduce from 12 to 10%, the discount rate used in regulatory processes. With this, a saving for the regulated users of the electric service is estimated at around 109 million soles per year (94 million for the impact on distribution and 15 million for transmission).The current rate of 12% was set by law in 1992 when the Peruvian economy and the credibility of its institutions were in serious difficulties. However, more than 25 years later, Osinergmin has carried out a review in accordance with the economic, sectorial and institutional advances of the country. Chile has recently lowered its rate from 10 to 8% too. The regulation in the electric power sector contemplates a regulatory period of 4 years for the ADV. This year, Osinergmin will calculate the new value of the VAD for the period 2018-2022. The ADV calculation is abide by a process that contemplates several stages such as the reception of the proposals of the companies of the sector, ADV publication proposed by the regulatory body, agents´ comments and, finally, the official publication in November. The regulator´s results and impact must be measurable and easy identified. The PAFER´s results will be submitted to the Network of Energy Regulators next November, for sure it will allow to improve the regulatory and assesment Osinergmin´s abilities for the consumer’s benefit, to foster invesments and innovate the sector. Within the subscription of the Interinstitutional Agreement on technical cooperation on safety and distribution of liquid petroleum gas (LPG) between the Supervisory Agency of Investment of Energy and Mining of the Republic of Peru –Osinergmin and Indian Oil Corporation Ltd, the Peruvian delegation visited the Republic of India from September 24th to 28th. The main objectives were to know the impact of energy subsidies such as PaHaL (Pratyaksha Hastaantarit Laabh) and PMUY (Pradhan Mantri Ujjwala Yojana), visit to Indane Bottling Plant at Gurugram and the New Cylinder Manufacturers at Bhiwadi, Rajasthan. As a results Osinergmin hopes to develop proposals for the development of LPG access programs aimed at rural areas, develop proposals for the application of new methodologies and technological improvements in the operation and supervision of LPG Bulk Plants. Through its international work, the U.S. National Association of Regulatory Utility Commissioners (NARUC) has observed disproportionately low levels of participation by women in energy regulation and the need for a resource that can inform and provide guidance to energy regulators on gender equality. To meet this need, NARUC collaborated with the Energy Division of the U.S. Agency for International Development (USAID) to create The Practical Guide to Women in Energy Regulation. 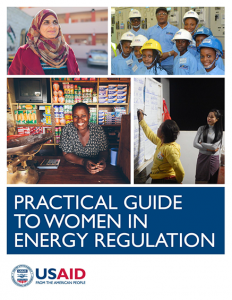 The guide introduces concepts of gender equality in energy regulation and details a menu of strategies for regulators to improve gender equality within their areas of influence and jurisdiction. An overview of existing barriers and challenges to women’s participation. A suite of strategies to more fully support gender equity, with illustrative examples. Case studies drawing from the recent application of strategies to advance gender equity in energy regulation in different country contexts.